EURAXESS - Researchers in Motion is a pan-European initiative launched by the European Commission to promote research careers and facilitate the mobility of researchers across Europe. It brings together the European Commission and 40 countries. EURAXESS is a network of people at your service. Its representatives can be found in over 509 centres across Europe, ready to welcome you and provide help in legal and practical matters free of charge. We provide information and assistance to mobile researchers – by means of this portal and with the support of our national EURAXESS Services Centre. This portal contains practical information on professional and daily life, as well as information on job and funding opportunities. The Services Centre helps researchers and their family to plan and organise their move to a foreign country, providing assistance in all matters related to mobility. All services of the EURAXESS Network are free of charge. The EURAXESS Luxembourg Team provide free and customised assistance to all researchers and their families seeking advice on issues related to their relocation across borders. Feel free to contact us. You can use the Euraxess Local Contact Points to receive advice and tips on moving to Luxembourg to work or study with their particular institution. The contact points can help you settle into the area, guide you through immigration processes and get started at your new institution. The Luxembourg National Research Fund is in charge of supporting and promoting public research in Luxembourg, in order to improve the competitiveness and visibility of public research at international level. 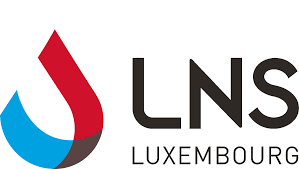 Luxinnovation, the National Agency for Innovation and Research, is a key partner for entrepreneurs, researchers and foreign investors interested in launching innovative activities in Luxembourg. Tha Agency proposes an extensive range of high-value, complimentary services to companies and drives major cooperation projects in partnership with research and technology organisations. The Ministry of Higher Education and Research is actively involved in defining and implementing policies relating to R&D and innovation.